Kinder Friends De Señora Herbic.... ¡Déle la bienvenida! This site has been created for students, parents, and other teachers. Turn up your volume and enjoy your visit! Here is a small portfolio of the web design work I offer. Sign up for your classroom website today! For more information email me! Please type WEBSITE in the subject line so that your email does not go into Spam. her and see for yourself." 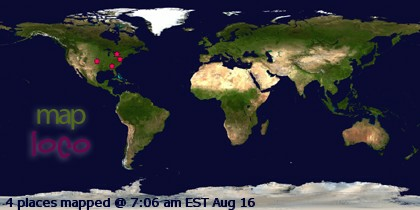 Click below to see visitors around the world! Sign up for your website today! Ways to Help Your Child Succeed in Reading PLUS other GREAT links! Need refreshed? Check out a new devotional every day! ideas. Enjoy visiting these Primary sites! Thank you for visiting Mrs. Herbic's Kindergarten website! Stop in anytime! You do not have permission to use any graphics on this page. Graphics have been purchased. Please click on the graphics icon above to see where graphics were purchased. Thank you in advance for respecting my design and ideas by not copying. Please feel more than welcome to bookmark my website and or include my name and website address on your website for others to use as a reference. Please feel more than welcome to email me by clicking on the email-us icon above. Thank you for visiting our website! If I have failed to give credit.....please email me and let me know. I want to give credit where credit is due. Thank you so much! A copyright is a form of protection provided by the laws of the United States to authors of "original works of authorship." This includes literary, dramatic, musical, artistic and certain other intellectual works. This protection is available to both published and unpublished works. Material not protected by copyright (or otherwise protected) is available for use by anyone without the author's consent. An author of a copyrighted work can prevent others from copying, performing or otherwise using the work without the author's consent.